Save on Exclusive Dog Food, Chicken and Rice Adult formula, at Wells Brothers! The featured Pet Food of the Month for March is PMI Nutrition Exclusive Chicken and Rice Dog Food. Exclusive Dog Food always starts with real chicken in their formulas, with complementary high-grade, natural ingredients with vitamins and minerals – at a fair price. Help your normally active dog get the most out of every meal. We select only the highest quality ingredients, which include Chicken and Whole Grain Brown Rice, for superior nutrition that provides high palatability and digestibility. A guaranteed, optimum balance of Omega-3 and -6 fatty acids are formulated for a healthy skin and coat. 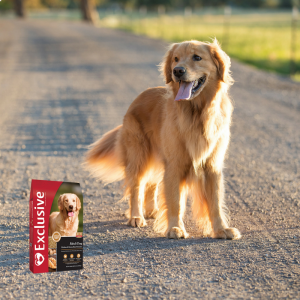 All Exclusive® diets are Naturally Preserved with Vitamin E and are thoroughly researched and quality assured for balanced nutrition your pets will love. Wholesome Nutrition from Head to Tail. 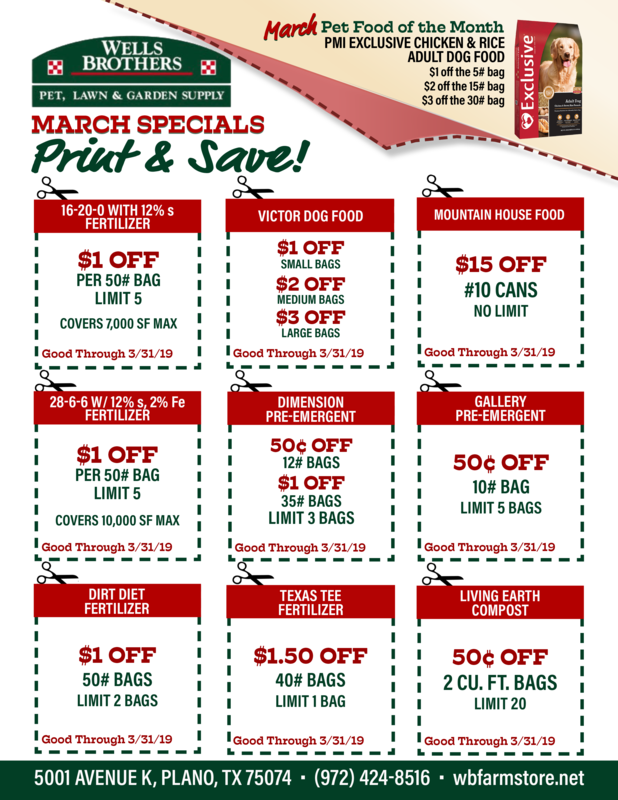 Sale price valid March 1 through March 31, 2019.